My friend Pauline is a true ramen lover. She has a mission to try and document as many ramen places as possible in New York City. 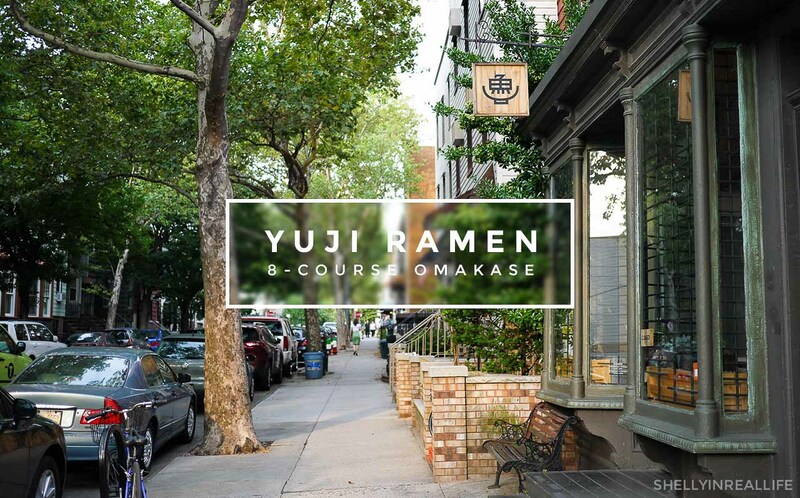 She's the one who introduced me to YUJI Ramen which started as a stand at Smorgasburg, held a short residency at the Whole Foods at Bowery, and now making a splash in Brooklyn by serving ramen out of the restaurant, OKONOMI. 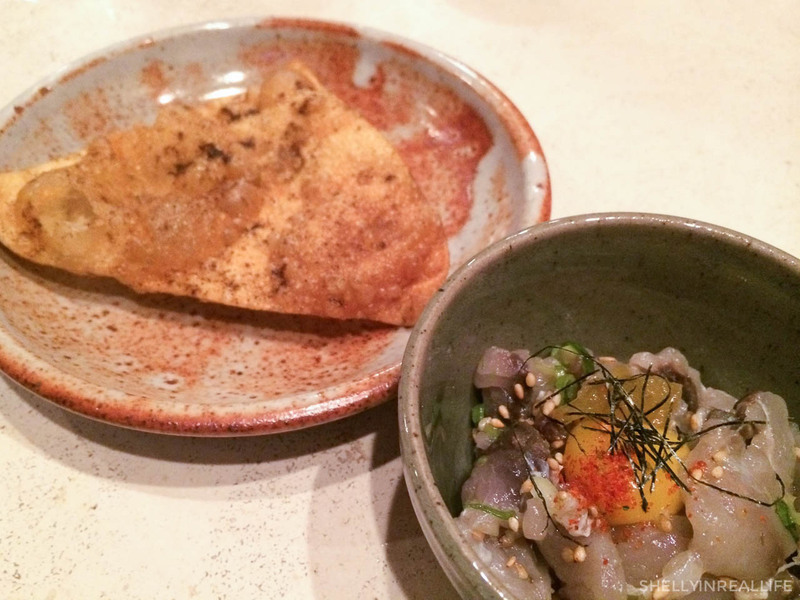 When she invited me to the new omakase that YUJI Ramen was hosting, I was definitely intrigued. I've been to the YUJI Ramen at Whole Foods a few times and quickly fell in love with Chef Yuji-san's mazemen ramen - basically a broth-less variety. The few different dishes I tried at Whole Foods were wonderful, the ramen noodles acted as a base for all kinds of delicious toppings. My favorite was their Bacon & Egg ramen. Essentially the bacon fat was rendered down to coat the noodles, along with a creamy soft poached egg. 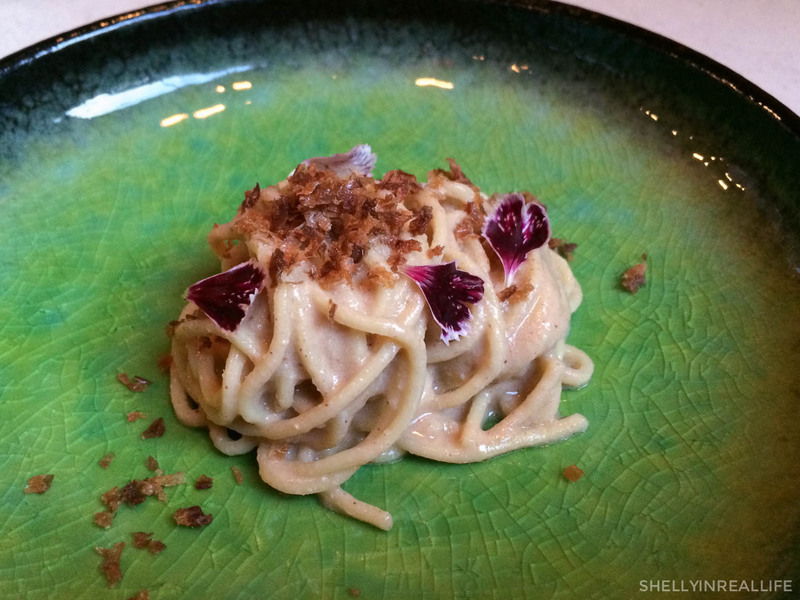 A Japanese version of a classic Italian carbonara on perfectly al dente ramen noodles - basically it's heaven. The Whole Foods location also had an elusive omakase that I kept reading and hearing about, but there was no way for me to track down how to get a reservation for it. 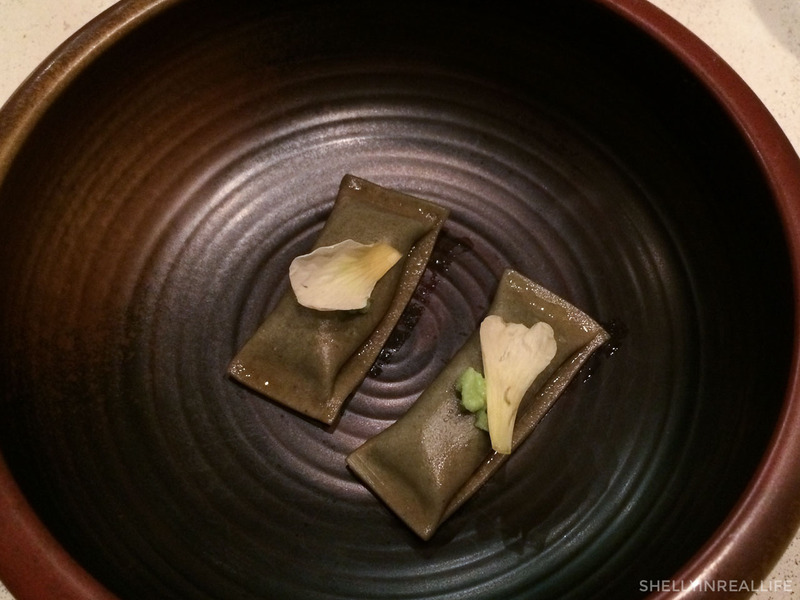 $40 for 5 courses of different innovative uses of ramen dough including a ramen uni ravioli... drool. Anyway, fast forward to July when Pauline found out about Yuji's move to Williamsburg. They were doing a soft opening and you can buy out the whole restaurant by booking the omakase for a group of 8 people - yes, it's that tiny. The omakase $100 per person, and for a ramen tasting, that sounds a little steep. But, curiosity killed the wallet so we went for it. Our meal was pretty true to the style of the mazemen ramen I've tried at Yuji Ramen at Whole Foods, in that we had a ton of dishes that seemed like italian inspired dishes. 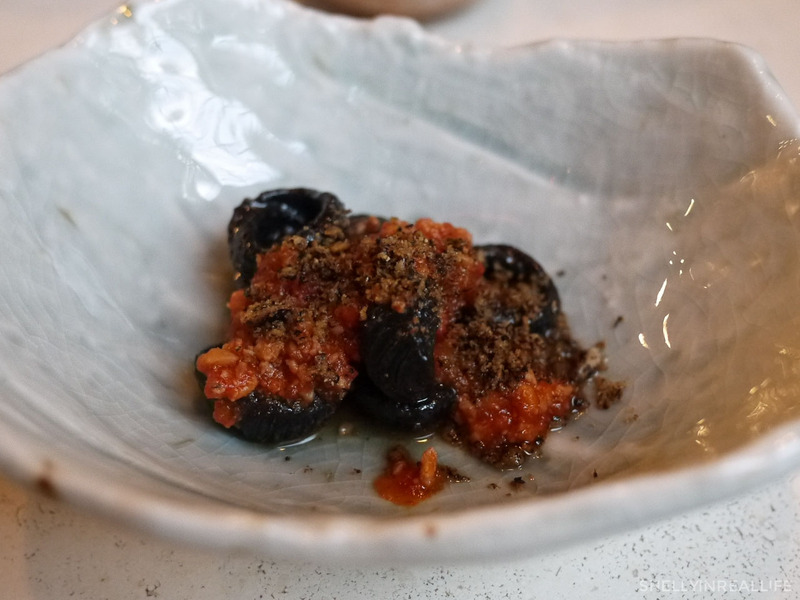 In fact, our first 3 dishes were definitely Italian-inspired, like the uni cabonara you saw in the first picture, and this squid ink orecchiette with a ragu sauce. 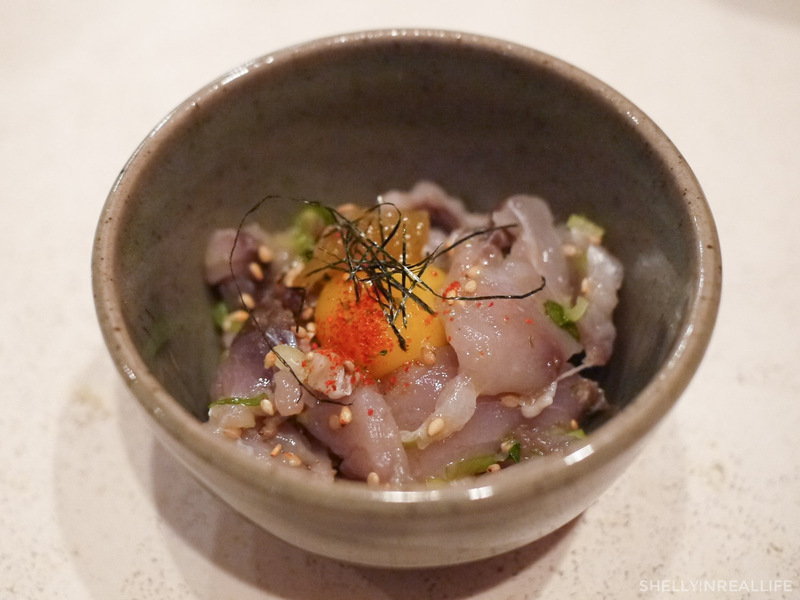 After a starter of 3 pasta-esque dishes, we moved onto a ceviche that was served with a ramen chip. Basically fried ramen dough topped with a bit of ramen seasonings. This clear pea soup ramen was ridiculously refreshing and unlike other ramen that I've tried before. 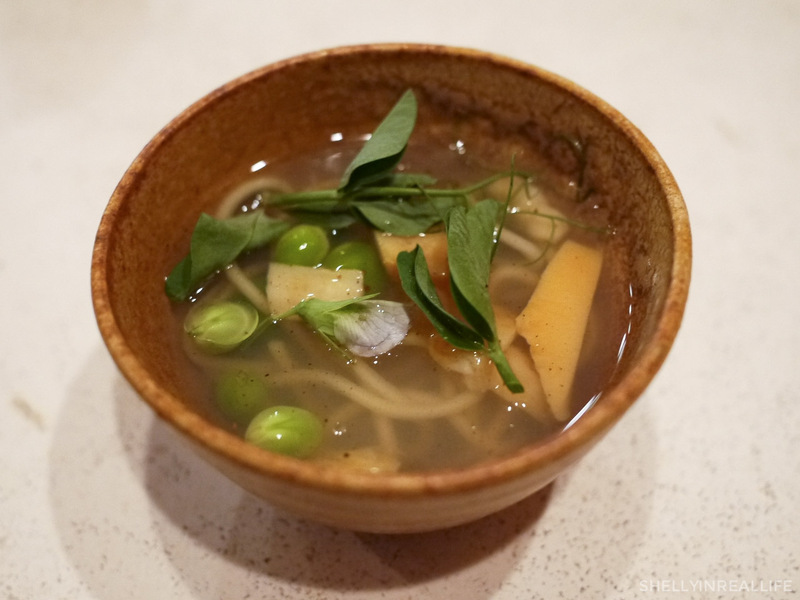 Really enjoyed the crisp clear flavor of the fresh peas and the bamboo and pea shoots. This ramen was served with a gelatin and gelee broth that was rendered down from fish bones, if I could recall correctly. You can dip the ramen into the broth and have it melt down. Once again, very crisp in flavor and very refreshing. This final dish of the night was a monkfish liver ravioli which was by far one of the most memorable and tastiest of the night. 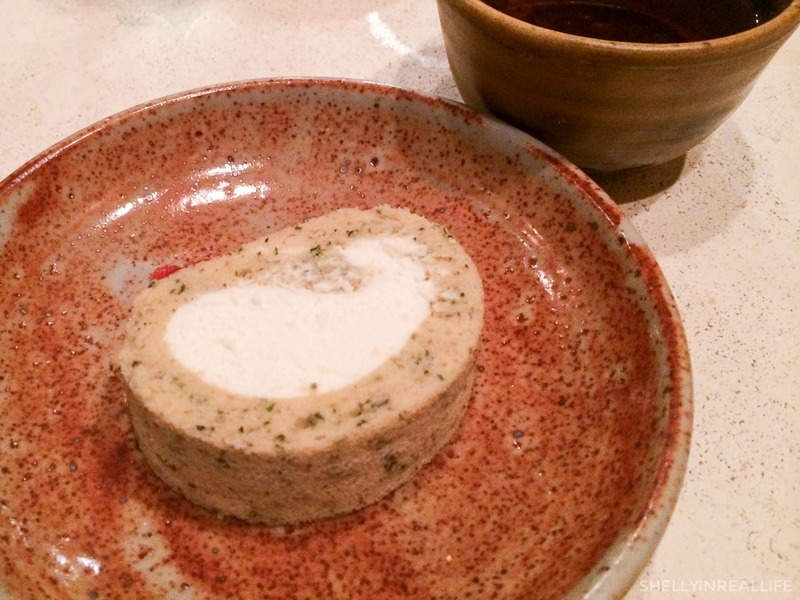 The ramen dough is rolled out thinly, acting as a shell for the creamy monkfish liver inside. We ended with a cake that was tasty but nothing to really write home about. 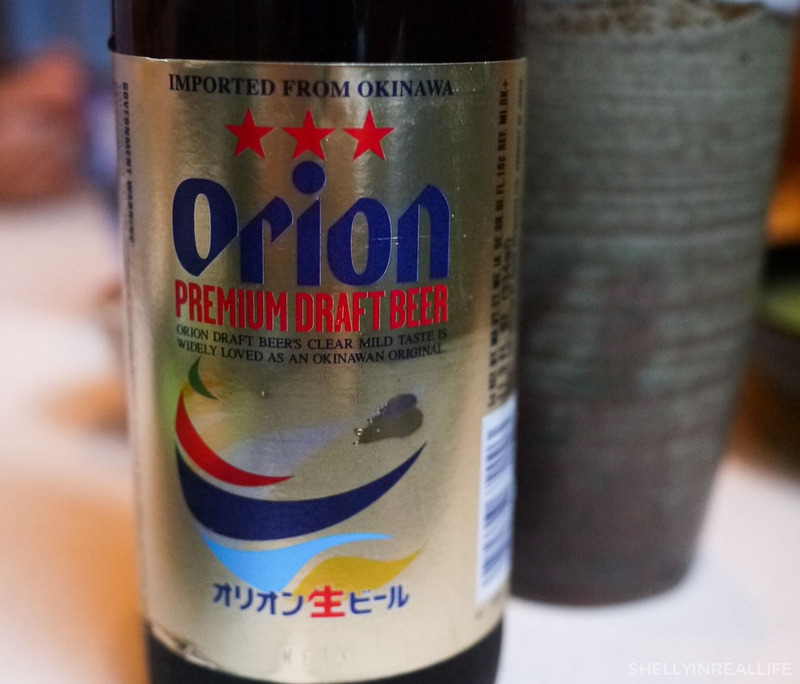 Through the night, we were drinking Orion beer (the first time I've seen this Japanese beer in the US!) along with Kiku-Masamune Junmai sake, affordably priced at $15 per carafe. Through the night, Chefs Yuji Haraguchi and Tara Norvell along with the server George really catering to us, making the whole experience really personable. It was nice to hear directly from Yuji-san about the inspirations behind each dish as he served it to us. As I mentioned, at $100 a head, this 7 dish & 1 dessert omakase feels a bit pricey. At the end of it, I was hoping for something more. On the other hand, if you think about it, if Yuji max out their tastings at 8 heads per night, they are really only making ~$800 per night from this. Now, I don't know about the cost of running a restaurant, but.. 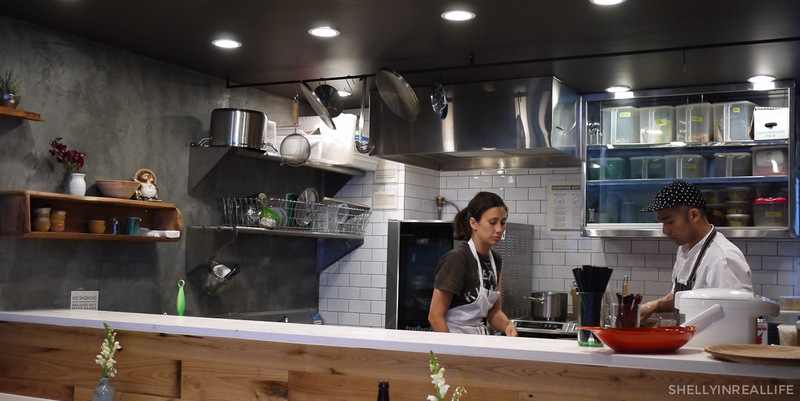 Given all the labor that goes into preparing for each of these intricate dishes, along with all the really fresh ingredients that are used, then add labor costs along with the rental of the space, I didn't feel like I was being completely ripped off. It was truly a great experience, and I would recommend it to anyone who also wanted to try. 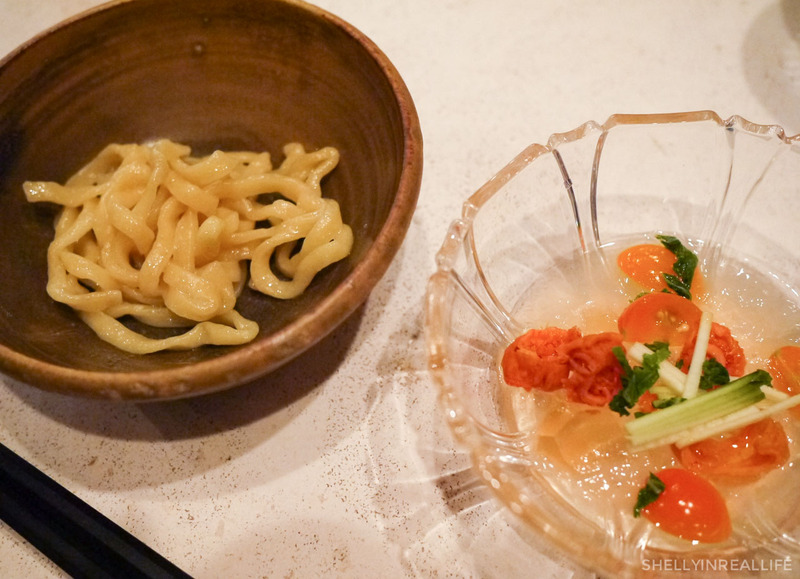 I don't think I would need to come back for the omakase again, but I would easily come back during regular hours to just have bowls of mazemen ramen for something much more affordable and just as tasty. Hope you enjoyed these pictures and now you can make an informed decision of what makes up the YUJI Ramen Omakase experience. Also keep in mind that the whole restaurant is pretty small. Our group of 8 had to separate into two different tables. There was no way for us all to sit together, so I would recommend only making a reservation for 2 or 4 if you want to stay together. 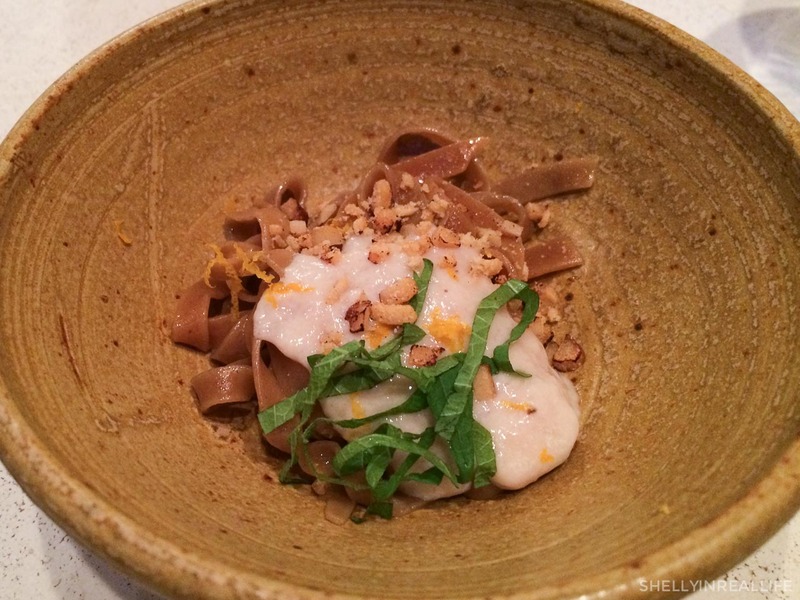 Starting this month, the tasting is out of their "soft-opening" phase and is officially launched. All the October slots for the omakase is sold out. It's only available on the weekends. You can book a slot or put yourself on the waiting list via their SeatMe reservation website.